Bake with our most addictive chocolate yet. 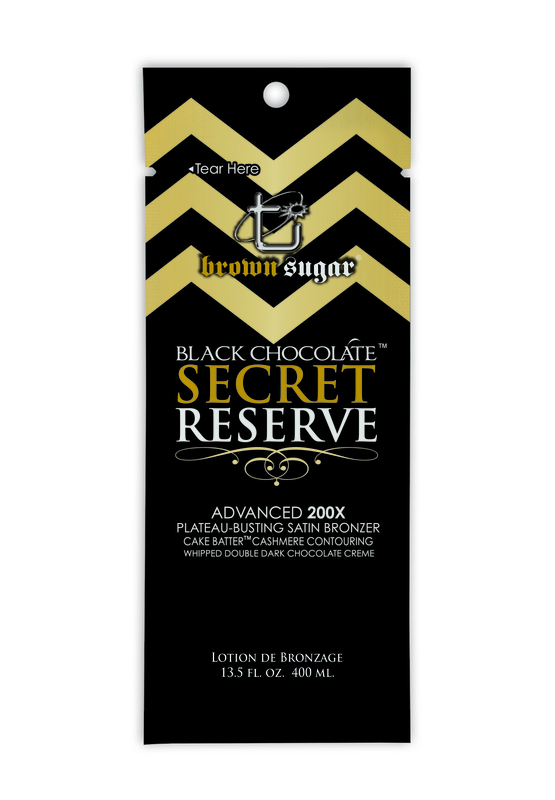 Black Chocolate Secret Reserve™ transcends beyond your darkest tan to a new level of bronze with a Satin Finish for an uncanny, soft, almost velvet glow. A delectable Cake Batter™ blend utilizes a Cashmere and Contouring system for unparalleled moisturizing with a taut & toned appearance. Rich Chocolate Extracts & Max Silicones are the icing-on-the-top, giving skin a healthy-looking glow with a heavenly softness.